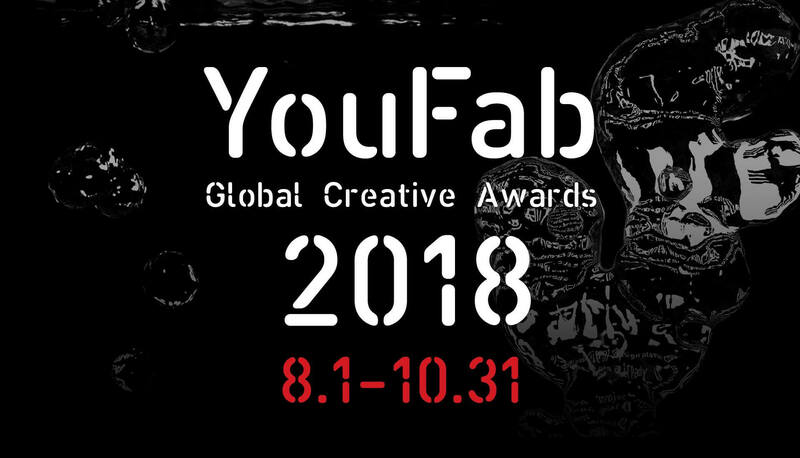 Opening of FabCafe's Global Creative Awards "YouFab 2018"
FabCafe Global (Tokyo, Hida, Kyoto, Taipei, Barcelona, Bangkok, Toulouse, Singapore, Strasbourg, and Monterrey) is proud to announce the “YouFab Global Creative Awards 2018 “(YouFab 2018), an award that evaluates creations and inventions born out of advanced collaborations between digital and physical manufacturing. Former 'WIRED' Japanese Editor-in-chief Kei Wakabayashi, Ars Electronica Artistic and Managing Director Gerfried Stocker, and others join as Judges! For the 7th annual YouFab Awards, this year’s Judging Committee include: Kei Wakabayashi (Chief Judge of the YouFab 2018 Judging Committee), formerly WIRED Japan Editor-in-chief, Gerfried Stocker, Ars Electronica Artistic and Managing Director of Ars Electronica, Professor Julia Cassim, Professor at KYOTO Design Lab Kyoto Institute of Technology, Satoshi Yoshizumi of the TAKT PROJECT, and Chiaki Hayashi, CEO of Loftwork, Inc. Applications will be accepted under two categories: the student category award and the general category award. For the full version of Chief Judge/Kei Wakabayashi’s message, please visit here. We are looking for creative works with the theme, “A future where work and life merge together” for the YouFab 2018 Special Award, the “Lion Award”. We are also excited to announce this year’s Special Award, the Lion Award, alongside the Lion Corporation. The theme for the special award is, “MERGE – A future where work and life merge together”. Alongside the rules outlined for YouFab, we are looking for works based on the theme of the future of 2030, where “work” and “live” will melt together. For the applicants whose work falls under this theme, applications for the Lion Award may be submitted alongside the YouFab 2018 application. During the entry period, from August 1, 2018 to October 31, 2018, related events will be held at FabCafes in various parts of the world, including an Awards Ceremony in Tokyo which will be held in early February 2019. We look forward to receiving applications from around the world with great anticipation! 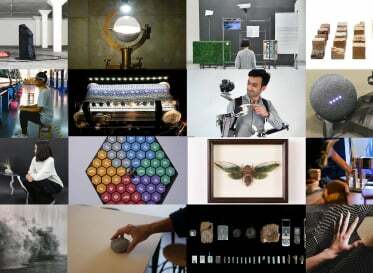 Submissions should be creative experiments, works and inventions that stem from powerful collaborations between digital and physical fabrication. These submissions can encompass physical products, art, architecture, or intangible projects such as performing arts, events, workshops and experiments. A condition of entry is that the submitted work be in its completed/operational form, not left in the conceptual phase as design plans or proposals. Submissions can be something that has already been launched, or something yet to be unveiled. This category is only for students who are enrolled in an university or a vocational college at the time of entry. There are no age or nationality entry restrictions. This category does not have any age or nationality restrictions and is open to individuals, groups and corporations. Kei Wakabayashi was born in 1971 and spent his early childhood in London and New York. After graduating from the School of Humanities and Social Sciences in French Studies at Waseda University, he joined Heibonsha, and became part of the editorial department for “Gekkan Taiyo.” In 2000, became an independent editor. Afterward, he edited a wide range of publications, including magazines, books, and exhibition records, and became active as a music journalist. 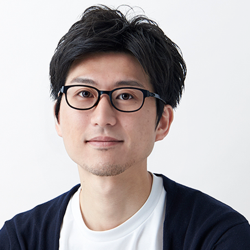 He was assigned as the Chief Editor for the Japanese edition of “WIRED” in 2012, and left the post in 2017. 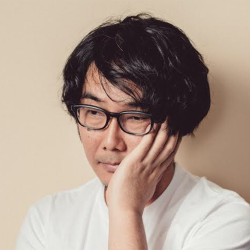 In 2018, he launched blkswn publishers, Inc. and authored the book, “Sayonara Mirai” (Goodbye, Future), published by Iwanami Shoten (April​ 2018). 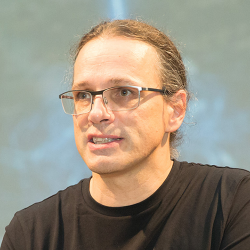 Since 1995 he has been a managing and an artistic director of Ars Electronica. 1995/1996 he developed the groundbreaking exhibition strategies of Ars Electronica Center with a small team of artists and technicians and was responsible for the set-up and establishment of Ars Electronica’s own R&D facility, Ars Electronica Futurelab. Since 2004 he has been in charge of developing Ars Electronica’s program of international exhibition tours. From 2005 on he planned the expansion of Ars Electronica Center and implemented the total substantive makeover of its exhibits. 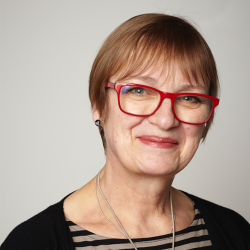 Stocker is a guest speaker at many international conferences and a Visiting Professor at Osaka University of Arts as well as guest lecturer at Deusto University Bilbao. He is also a consultant for many international companies on creativity and innovation management. Mr. Yoshiizumi has undertaken various projects seeking to “create other possibilities” through design. 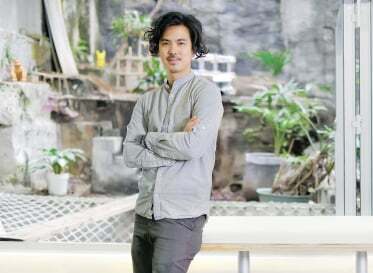 He has conducted experimental independent research projects and presented the results at the Milan Design Week, DesignMiami, Maison & Objet Paris, Hong Kong M+, and other domestic and international art museums and design events. 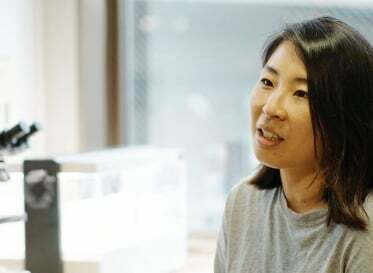 Yoshiizumi collaborates with various clients, taking a unique approach which maximizes the role of design in projects based on research findings. His work has been collected at the Hong Kong M+ museum. 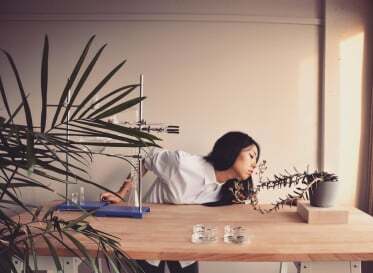 He has also received many domestic and international awards, including the DesignMiami/ Swarovski Designers of the Future Award. 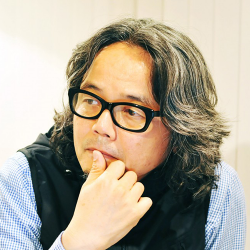 In 2018, he was a GOOD DESIGN AWARD 2018 Jury Member. Co-founded Loftwork Inc. in 2000, which rolls out the diversely projects including web, community, and spatial design initiatives. The agency operates multiple services: “FabCafe”, a digital manufacturing cafe, “MTRL”, a creative space for creators, and “AWRD”, a platform to promote co-creation with creators. 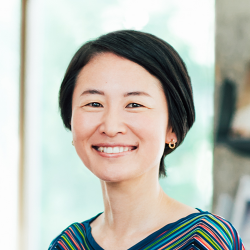 She also serves as the Japan Liaison to the Director of MIT Media Lab, and CEO of Hidakuma. Hidakuma is a new form of public-private joint enterprise, which aims to create regional industries through traditional techniques and forest regeneration. Tokyo, Kyoto, Hida, Taipei, Bangkok, Barcelona, Toulouse, Strasbourg, Singapore, Monterrey. FabCafe is a creator’s cafe network, extending 10 locations around the world. At the FabCafes, unique creators gather, meet, pit their talents against each other, and give presentations on their ideas and creations every day. Since the beginning, the FabCafe Global Network has supported the birth of over 15,000 ideas by holding a various kind of creative workshops and events, all while also offering delicious coffee and comfortable spaces to relax. 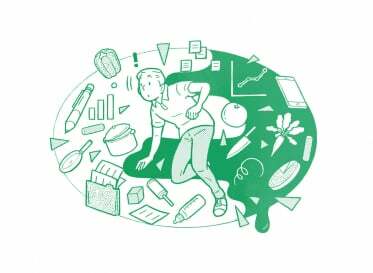 The YouFab Global Creative Awards is a compilation of the year’s activities. Curators at each location call out to creators they have met and networked within that year to compile a number of impressive submissions from around the world. At the same time, we are discovering and supporting creators who are likely to change the next generation by recognizing and celebrating their unique works. The large number of YouFab winners so far are connected globally through winning the YouFab Award and their field of activities have expanded. From Local to Global, Global to Local. We believe that the next generation of talent is not only born from advanced research facilities or university labs, but also from small towns and communities around the world. The transmission from local to global returns results back to the local. Through this cycle, YouFab is ever becoming more supportive of the world’s creatives, as well as international creative businesses. Silver Sponsor: Trotec Laser Japan Co., Ltd. The FabCafe global network continues to expand. As of August 2018, there are 10 FabCafes in the world: Tokyo, Taipei, Barcelona, Bangkok, Toulouse, Hida, Singapore, Strasbourg, Monterrey and Kyoto. Loftwork is a creative agency that designs Web, content, communication, space, etc. through open collaboration.